It is important to have all of these components checked regularly so you never have to worry about whether your vehicle will be able to stop in time. All of today’s vehicles also use an anti-lock brake system to help brake more effectively during a panic stop, and Galpin Volkswagen can diagnose and repair any issues with that system. No matter if your vehicle has disc or drum brakes that need service, our factory trained service technicians can get your vehicle back on the road quickly and safely. 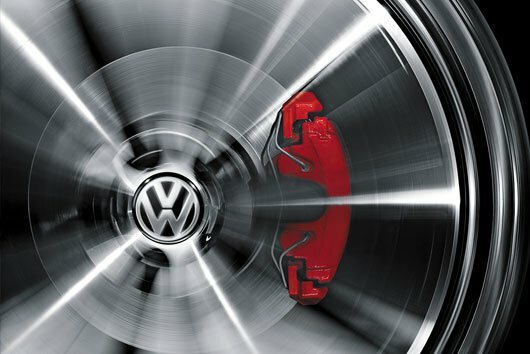 We only use quality OEM Volkswagen parts when servicing your car’s brakes at Galpin Volkswagen. How often do brake pads and rotors need to be replaced? This depends a lot on your driving style and what type of vehicle you drive. Lots of stop and go driving will increase wear on the brakes, as will driving with heavy loads on a regular basis. What causes my brakes to squeak or grind? 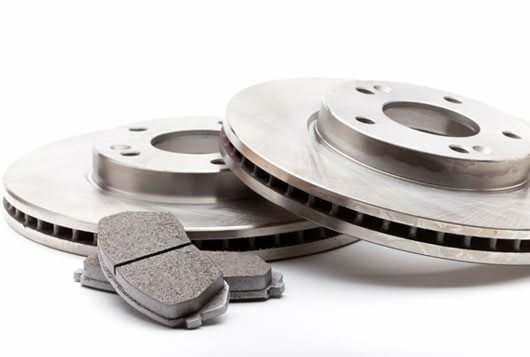 There are a number of things that can cause brake noise, including poor fitting brake pads, problems with the rotor, brake dust buildup and worn brake pads. We can help diagnose and repair any issues. My car shakes or pulls to one side when braking. Why is that? These are signs that your brakes may need adjustment or parts are in need of replacement. Our service technicians at Galpin Volkswagen can diagnose what is wrong with your car’s braking system.